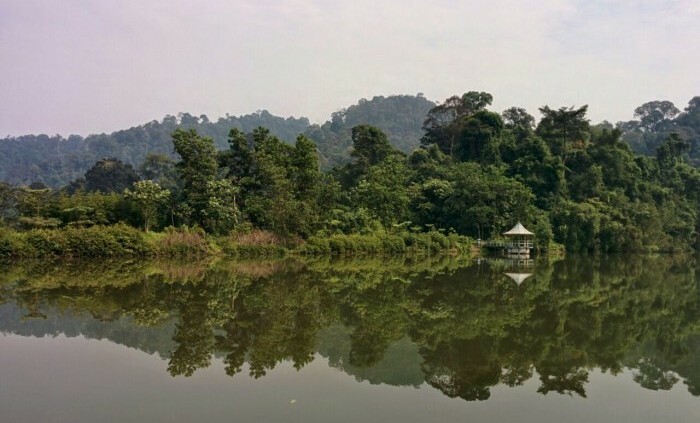 Checked off the hiking trails from our Klang Valley list already? 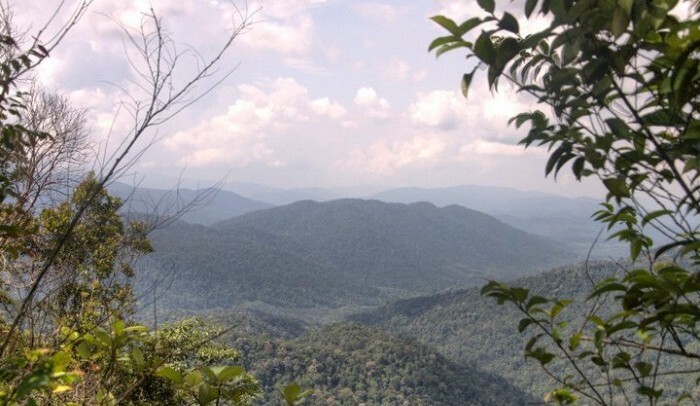 You’re in luck because we have found more hiking spots around Malaysia for you to explore! Hiking is one of the best ways to get fit while exploring the lush rainforests our country has to offer. If you’re adventurous to conquer the paths with your friends by yourselves, that’s great! If not, you can check out some hiking tour packages here. Tell someone about your hiking itinerary. Let them know the location, the estimated hike duration and who will be hiking with you. Don’t hike alone. Always go in groups (minimum 4 people) in case of emergencies. Know where you are hiking to and don’t stray from the path if you are a beginner. Engage with a local guide if you are treading into remote areas. Don’t enter closed-off areas. Bring a map, personal first aid kit, Swiss army knife, whistle, compass, lighter/matches, headlight/torchlight, gloves, enough water and snacks to last through your hike. Learn to use your gear before the hike. Always filter and treat the river water before drinking. Keep track of the weather. Postpone your hike if it rains. If you are already on the trail, seek shelter in a thick forested area, away from peaks, rivers, lone trees, exposed areas and rocks. Wear shoes with a profile (Pattern on soles to prevent slipping), dress in layers (polyester material is recommended) if hiking on higher mountains, bring towels and dry clothes if you’re planning to swim in the waterfalls, sunscreen, sunglasses, and caps/visors. 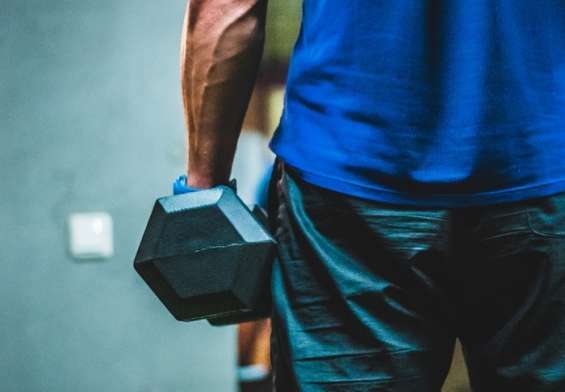 Do some warm up exercises first and start slow. You can let the slowest person in your group to lead the pace. Remember to take breaks in between too. Without further ado, check out these hiking spots that you can find in the different states in Malaysia below. We have included the level of difficulty and estimated time to complete the hike too so you can pick the trail that is suitable for your fitness level. You can even practice hiking and trail running on these hills and mountains to prepare yourself for a big expedition or competition. 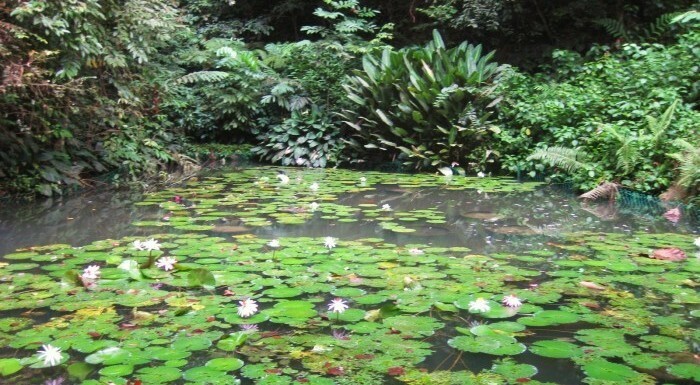 Located in the same vicinity with Ahpek Hill, Cheras, you can opt to hike through the jungle route or the marked route. Do expect many ascends and descends on the way, despite its low elevation. All trails will lead you to this amazing waterfall where you can take a dip before hiking back. 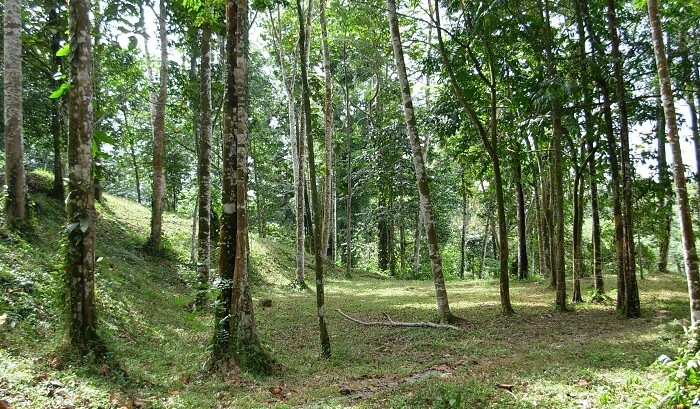 Find this trail a few kilometers behind Zoo Negara beside Kampung Kemenseh. You will meet with 4 waterfalls throughout this trek. Also, you will be walking through shallow to knee-deep rivers most of the way so be sure to wear the right shoes and gear. Be prepared for the leeches too. Bukit Ketumbar is another hill to hike on around the Bukit Saga vicinity and this hill has 3 trails that lead to the peak. The shortest trail only takes you about 20 minutes to reach the peak while the longer and harder trail will take you about an hour. You can bring your kids or little siblings to go for the short hiking trail too. It’s a great workout for the whole family! Bukit Kledang is a famous hill for hiking and mountain biking among the Ipoh folks, located in the town of Menglembu. 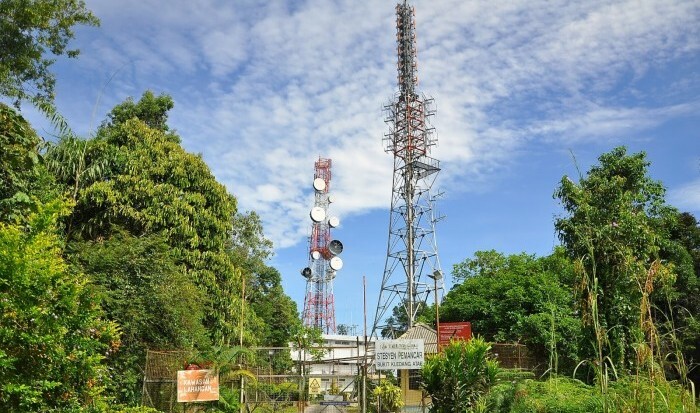 It has four common hiking trails that goes for 4-2 miles (6.7km, 1 hour), 4-3 miles (6.9km, 1 1/2 hours), 4-9 miles (7.8km, 2 hours) and up to the RTM broadcasting tower located on the peak (4 hours). For those who want a challenge, try the RTM trail where you have to hike over 3 hills before reaching the peak. Also known as Maxwell Hill, Bukit Larut is a forest reserve that is filled with unspoiled nature trails for you to hike on. You can’t drive your own vehicle into the area so you can opt to hike up to explore the facilities on the hill or take the 4X4 Land Rovers which operate from 8am-5pm daily to reach to the summit. From there, you can head to the Gunung Hijau trail (1,448m above sea level) to hike. We recommend getting a guide for that because not many people hike on that trail. For seasoned hikers with an advanced fitness level, you can aim to reach the two peaks of Gunung Liang (1933m) West and East in just 10 hours or make camp halfway before continuing. 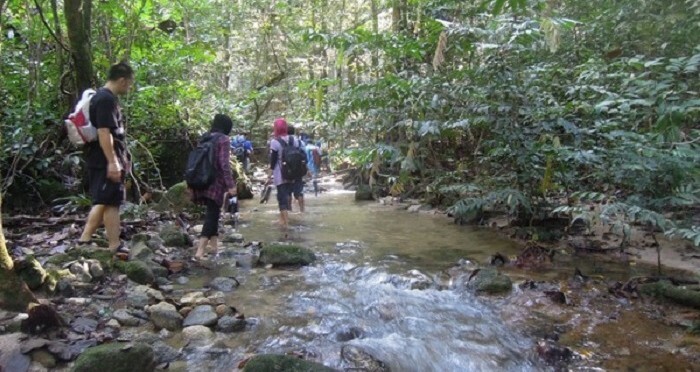 The river crossing at Lubuk Hantu is said to be a difficult route so make sure you are very fit before undertaking this trail which just goes up all the way. Most people will make camp at the camp site available at the halfway point of the trail in Gunung Bujang Melaka (1,233m) so they can have a more relaxing hike that lasts for 2 days, 1 night. 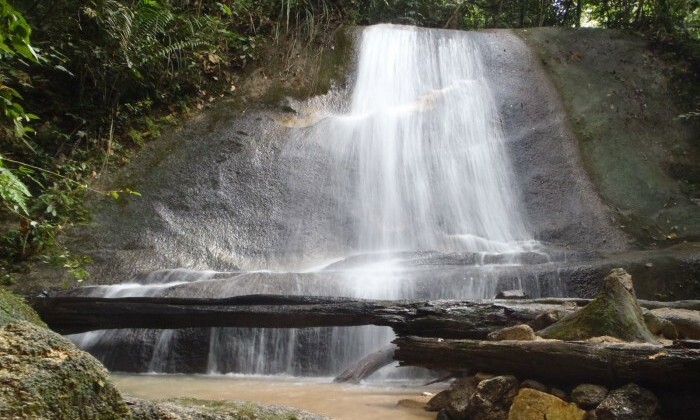 It takes about 4 hours to reach the summit and on the start of the trail you can take a dip at the Batu Berangkai waterfalls too. 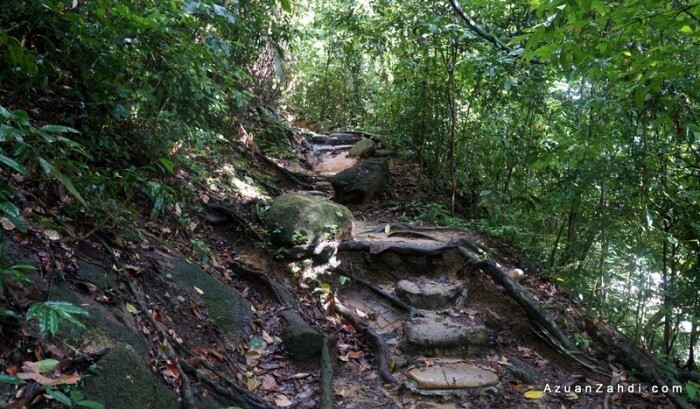 Trail starts at Kem Bina Negara Ulu Kenas, Kuala Kangsar and this mountain is famous for its abundant of leeches, especially during the rainy season so if you are not a fan of them, be prepared. You need to apply for a permit before you can hike on this mountain too. At 2,131 m, Gunung Batu Putih is the 8th highest peak in Peninsular Malaysia and the trail starts at the Bukit Tapah Forest Reserve. It is recommended to hire a local guide from the pak cik who lives nearby the trail for this hike and don’t forget to leave your hike details with him too before you start. 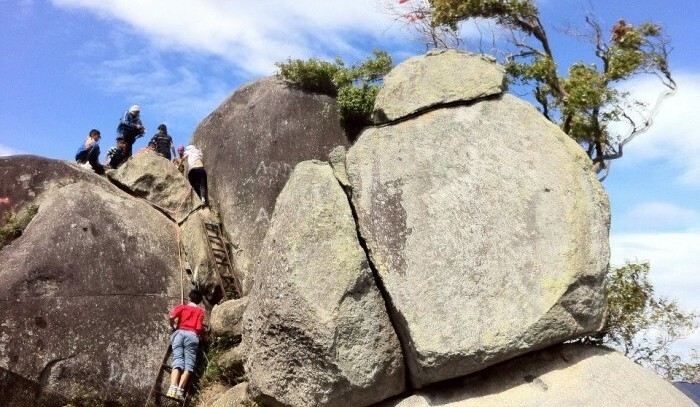 Also, according to our reader, Gunung Batu Putih and Gunung Bubu are great trails to practice on before you take on Mount Kinabalu. 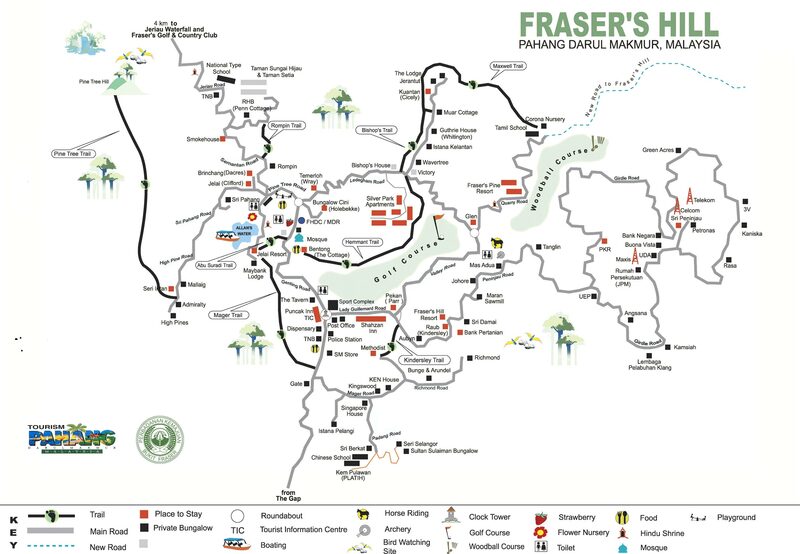 There are 8 marked trails in Fraser’s Hill and each of them has its own share of history. Like the popular Bishop Trail, which is named after Reverend CJ Ferguson-Davie from Singapore. He rediscovered Fraser’s Hill on 1917 while searching for the missing Louis James Fraser who disappeared from this hill in 1915. All the marked trails are connected to each other so if you want a more challenging route, you can continue from the Bishop Trail to the Pine Tree Trail which is a 5.5km trek up a 1,500m mountain. 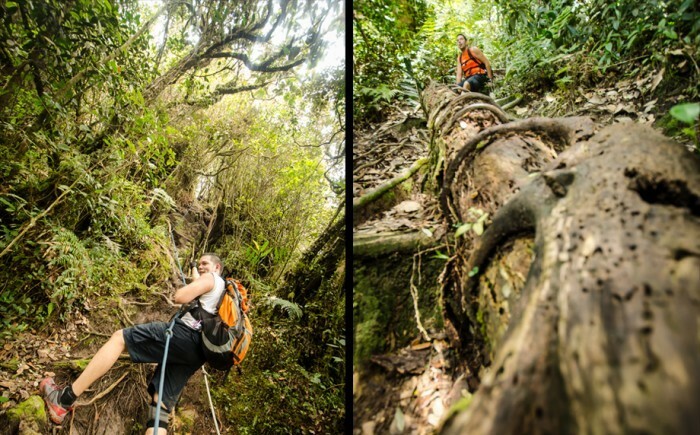 Prepare to get your shoes dirty as you trek through any of the 13 trails that can be found around Cameron Highlands. You can purchase a map which shows you the trails from most accommodations around the area. Remember to bring enough refreshments and a warm jacket as the temperatures can drop to 15 degrees Celsius at higher altitudes. You can even hike to the Boh Tea Plantation through trail 9A which will take half a day. Many hikers who have climbed this trail raved about how the surroundings look like a scene from a Lord of the Rings movie. 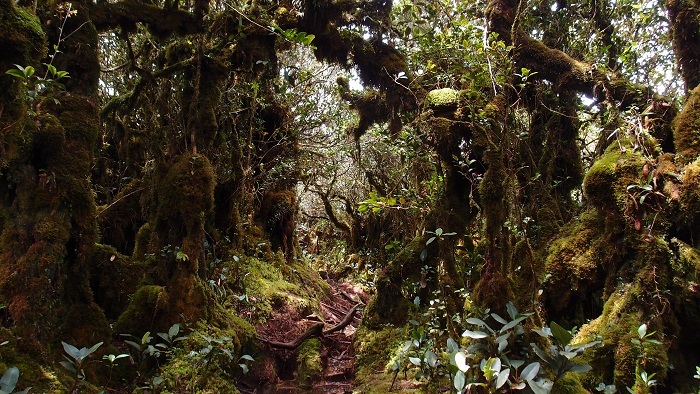 Also known as the Mossy Forest, the terrain is filled with moss-covered plants and trees as well as unique flora and fauna. Be careful on where you step though because the soil is wet and muddy even on sunny days. Instead of taking the tram service to reach the top of Bukit Bendera, why not hike up through the few trails located nearby? You can opt to take the 10.2km guided tour from the East Side of Bukit Bendera/Penang Hill if it’s your first time. Alternatively, you can take the more challenging route through the Youth Park if you are already familiar with the area. 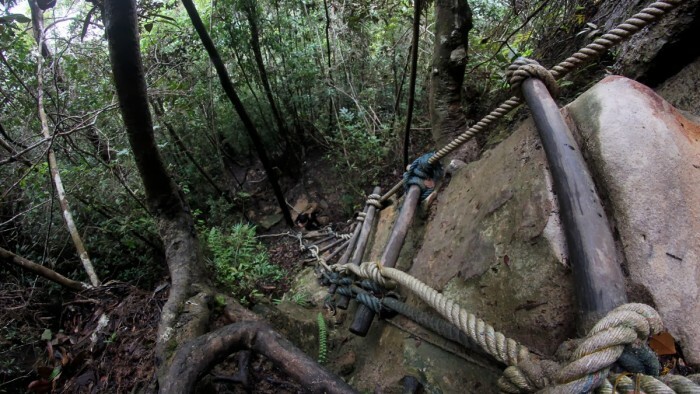 Known as the longest and most challenging forest trail in Penang, the Laksamana trail will start from Taman Rimba Teluk Bahang and end at the top of Bukit Bendera. Remember to pack enough food and water to last throughout your journey since it will be a long hike filled with ascends and descends. This is an easy route which starts at the main entrance of the Botanical Gardens. You might have to do about 30 minutes of steep climbing but after that, you can relax and enjoy the serenity of the greenery around you as you trek through. There are multiple ascends and descends in this marked trail so it is not exactly super easy. It could get crowded on the weekends too so best to be early. You can also join this group to try hiking here at night, they will hike for 2 rounds on the same trail to get a good workout. 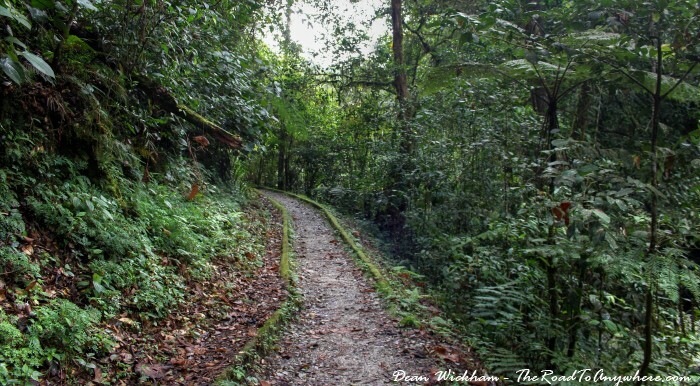 The trail at Bukit Kembara or Bukit Indah as some will call it, is located around an old reservoir called Ampang Impounding Reservoir, which was the first water supply reservoir in Kuala Lumpur in 1888. There are numerous marked trails you can go for so if you don’t want to hike all the way to the peak then you can pick another route to head back to the parking lot. Standing at 1,053m, most people would say Bukit Kutu should be called a Gunung instead of a Bukit because of its height and difficulty. Once you get to the peak, you will find remnants of Treacher’s Hill, a Colonial hill station in the past. If you are not afraid of heights, climb onto the free standing boulder to get a 360-degree view of the jungles and dam-lake. The journey is less than 10km but the paths might be muddy (leeches were reported too). You will be crossing a few rivers through the trail and the currents at the waterfalls can be strong. If you are not a good swimmer, it’s best to wear a life jacket if you want to swim in the waterfalls. Located in Ulu Bendul Recreational Park, you have register and pay a fee of RM5 per person before you can start hiking there. Do arrive before 11am because they would not allow you to hike if you come after 11am. 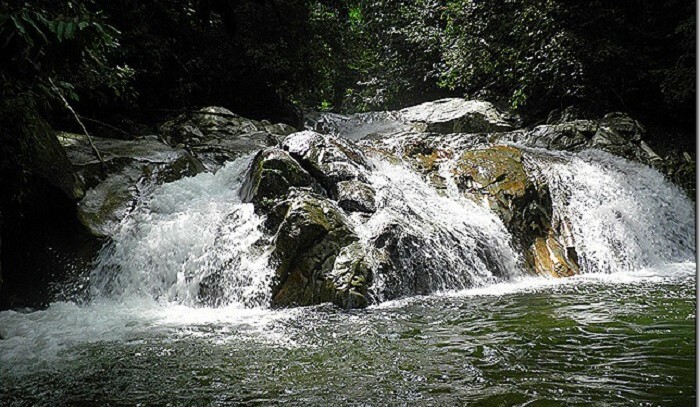 The easier route to Gunung Angsi is through Bukit Putus and the longer route is through the Ulu Bendul Recreation Park. At a height of 870m, this is the highest mountain in Negeri Sembilan. This is another mountain where you’ll have to pay a fee of RM5 per person to enter. The hiking trail is well-marked so you won’t get lost easily. Keep a lookout on some footprints left on those rocks while you’re there as local legends said it was made by Hang Tuah. Experienced hikers, if you want to seek new trails to get to a peak, Bukit Penda would be a great hill to explore. 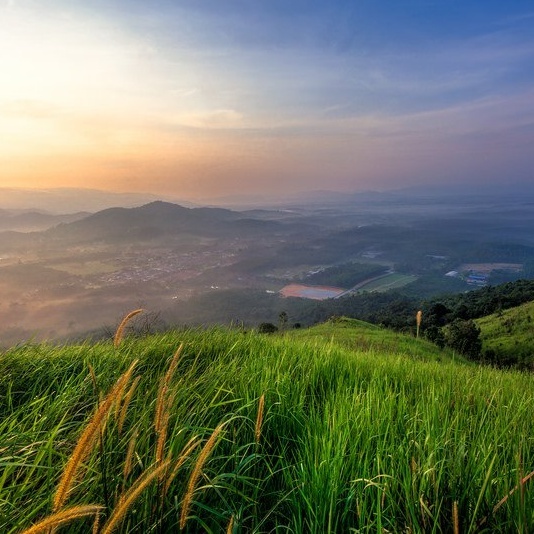 The hill is located between Bukit Galla and Bukit Gangis, and there has been numerous attempts to find trails leading to the peak of Bukit Penda but so far none has been found. If you do find a trail to the peak, do share your success with the hiking community here! 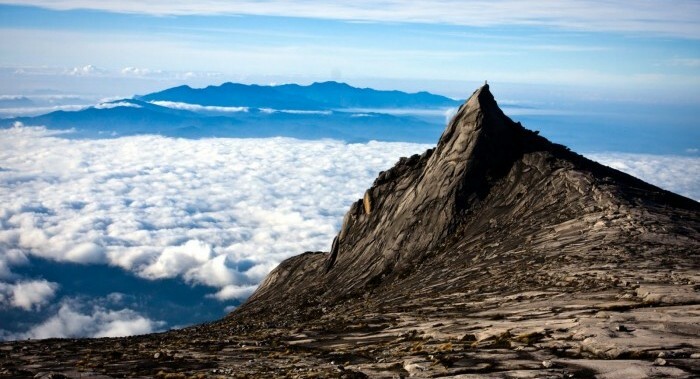 Every hiker aims to conquer Mount Kinabalu at least once in their life. It is the tallest peak between the Himalayas and New Guinea at 4,095m, situated inside Malaysia’s first World Heritage Site, Kinabalu Park. If you are still not prepared for the epic hike to the summit, you can always try hiking from Laban Rata to the low peak first or try the guided nature walks around the park. Get a local guide for this hike because it is not a very well-known trail compared to Mount Kinabalu. You will be hiking to Minisulai Falls and Cave before going to Torolobou River the next day. Since it might rain, leeches are abundant so bring some leech repellent and wear the right gear. Mount Santubong stands at 840m high and though it seems to pretty low, you will be doing a lot of steep climbs on the way to the summit. If you’re lucky you might spot some wildlife on your way. At the peak, you can savor the beautiful view of the South China Sea. For beginners, you can opt for the jungle trekking trails at the bottom of the mountain first before trying to climb up the summit. 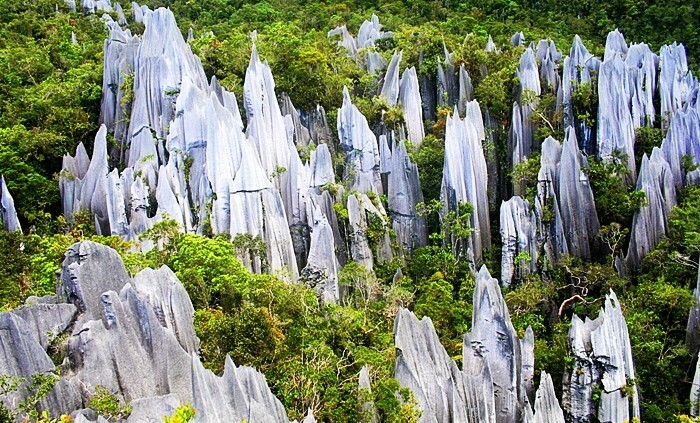 These quartz formations are one of the attractions of Mulu National Park. To get there, you’ll first have to take a boat ride across Melinau River to Kuala Berar, then walk for 2- 3 hours through the jungle to reach Camp 5, the base camp. The next day, you begin the difficult hike which brings you to very steep (near vertical parts) trails. But it’s all good when you reach the top to see the awe-inspiring Pinnacles, very Instagram-worthy too! 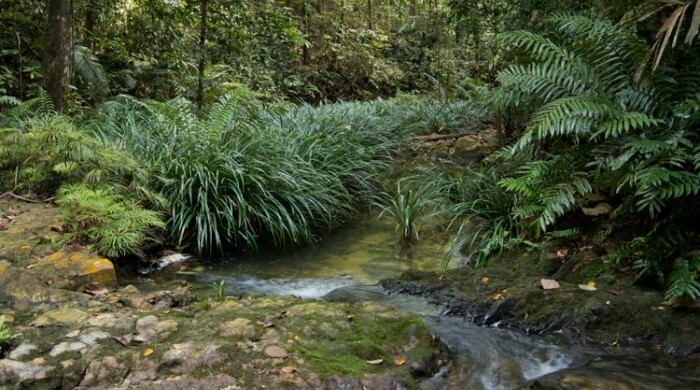 The Bako National Park has about 16 colour-coded jungle trails for you to explore. 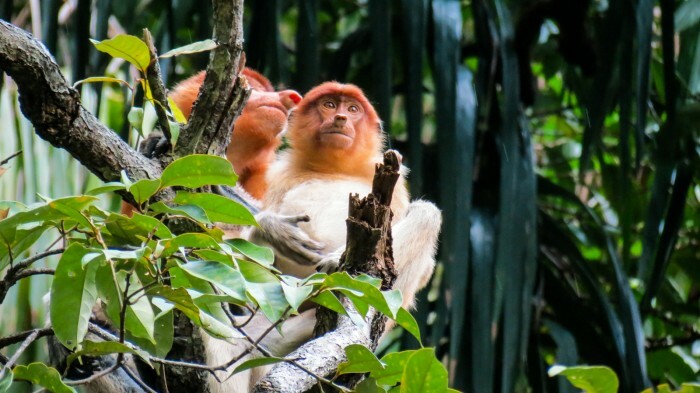 The Lintang trail is one of the more popular ones among hikers because there is a section between the Ulu Assam and Serait junctions where you can spot the rare proboscis monkeys. Be sure to tread quietly the moment you hear strange grunting noises then keep a lookout for them. Still not convinced about hiking? We give you 10 reasons on why you should start doing it. Check these hiking tours offered by Adenue. Which trail are you heading to this week? Click subscribe to get more updates and a FREE e-book filled with recipes, plus tips on fitness, health, and life! Hi Kye Lin~ There is something mislead about number 16. Bukit Kutu, the image is wrong. It’s belongs to Tabur East. Kindly please update the new image as other people will think that is the view when they hike up. (==) Thank you. Hey Harriet! Yeap we’re aware of that, have amended. 🙂 Thanks so much for your correction! 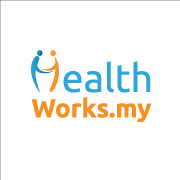 Gunung Batu Putih (near Tapah) & Gunung Bubu (Kuala Kangsar) are worthy additions as well. Especially for those who have done the typical Gunung Kinabalu hikes. Moderate to very hard rating for both mountains from me. Cheers! Your ratings are definitely beneficial for the community! The last time I visited Malaysia, I hiked a beautiful mountain at Cameron Highlands. I believe it is called Gunner Jasar. Easy walk with a picturesque view. No Bukit Tabur? Believe me, your listing definitely not complete!